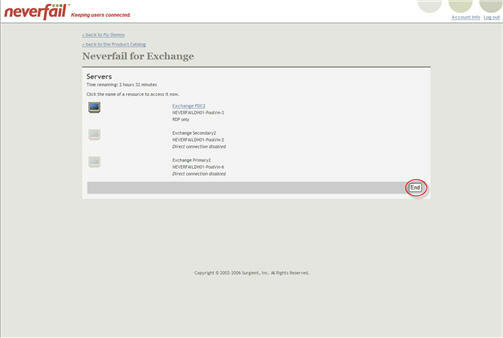 This Knowledgebase article provides the procedure to login to the Virtual Demo System and initiate a demonstration of Neverfail. 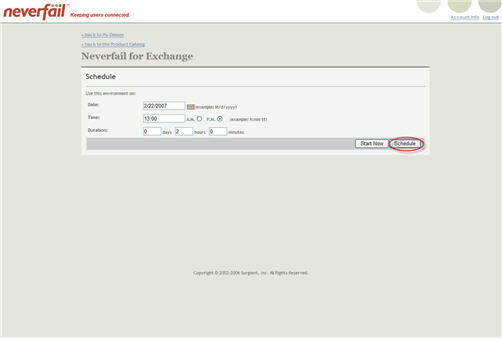 Neverfail provides a robust virtual demonstration environment using the Virtual Demo System (VDS) allowing Neverfail Partners to demonstrate Neverfail products to customers anywhere and anytime. 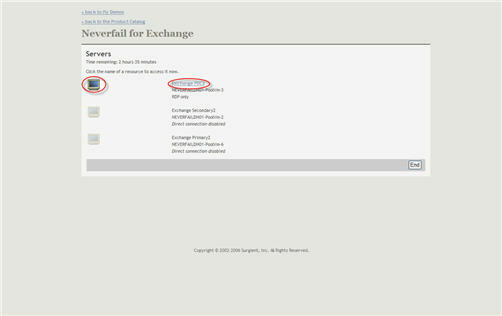 To login to Surgient, on the Neverfail Extranet go to Partner Resources -> Virtual Demo System . This will launch a new window and automatically log you into the Virtual Demo System. 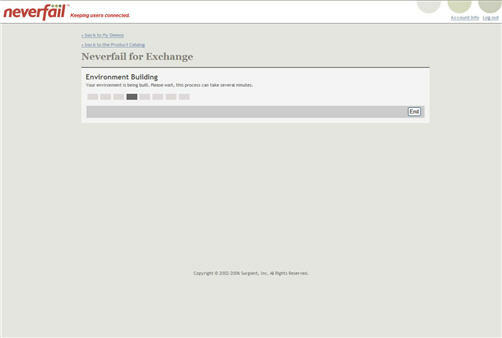 Once logged in, the following screen is displayed. You will be at the initial welcome screen and from here you will select your preferred demo (for this example we will use the Exchange demo). After selecting the demo, you will be prompted to Schedule or Start Now . 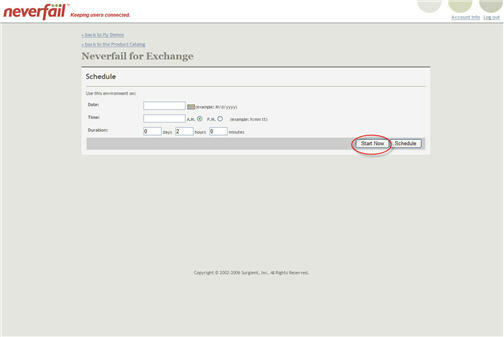 If you choose Schedule , you can select a specific date and time for the demo to be ready for your use. Provisioning for the demo will be complete at the date and time you specified preventing long delays in starting the demo. If you select Schedule and you log back in at the designated time, you will see the following screen and should select Start Demo . If you choose Start Now , it will take approximately 20-30 minutes to provision the demo and be ready for use. Note: When possible, you should always schedule the demo in advance to ensure the demo is ready when you need it. 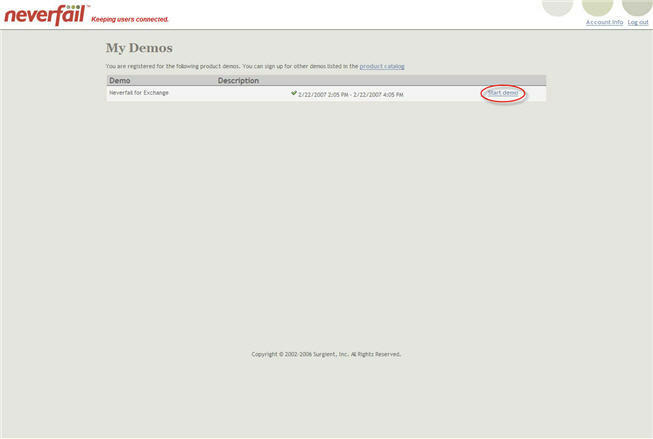 When you click on Start Now , you will see a page refresh and the progress showing the demo being deployed. 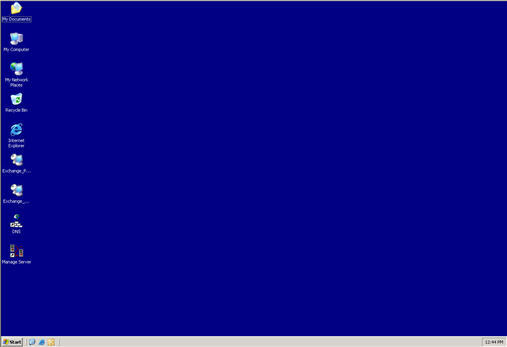 Once the demo is provisioned, you will see the following screen and should select Start Demo . After you click on Start Demo , you will see the screen below. Select either the Monitor i con or the hyperlink to the PDC to launch your demo environment and begin your demonstration. 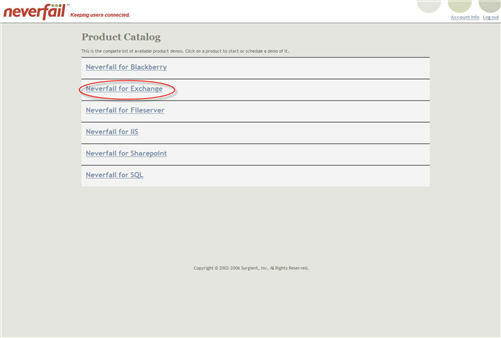 Once the demonstration is up and running, refer to the Neverfail Product Demonstration Guide to assist you in highlighting the features and benefits of Neverfail during your demonstration. When your demonstration is complete, simply click on the Close button in the lower right-hand corner of the screen to close the demo window. 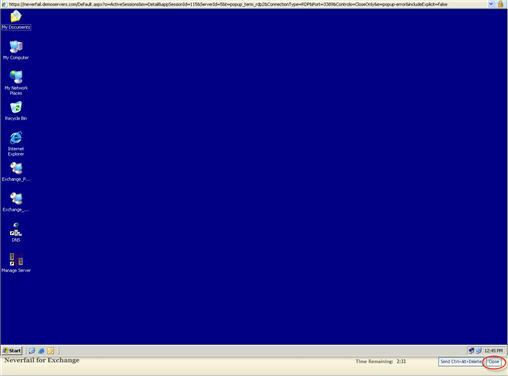 Once back to the 'Servers' screen, click on the End button to end the demonstration. Doing so, will take you back to the 'My Demos' page and allow you to logout of VDMS.